Massachusetts holds a special place in our hearts. Not only was it the first state in the nation to pass a food allergy restaurant awareness law, but it's also home to our favorite family-friendly retreat — Martha's Vineyard. From sunrise to sunset, the island is a picture-perfect getaway with its quaint gingerbread cottages, open harbor and epic clay cliffs. All food allergies are welcome, so before you sink your toes in the sand, check out the places that go above and beyond to make everyone feel at home in the Vineyard. Looking for more travel guides? Download the Spokin app for more food allergy-friendly recommendations. Eat your eggs on the sand at this funky, beachfront breakfast and lunch spot. The owners, one of whom has a tree nut allergy, make diners feel at home with quirky decor and delicious takes on breakfast classics. Dishes for food allergic customers are prepared on a separate surface, and gluten-free bread is available. Kids can choose from Mickey Mouse-shaped pancakes or place a custom order. There’s more to this Edgartown destination than espresso and coffee. Espresso Love serves fresh baked goods, homemade soup, burgers, salads and more. Open year-round, this eatery has served many customers with food allergies. They will change their gloves and use separate utensils to prepare allergen-free meals. Gluten-free bread and wraps are also available. From clams and codfish to crab cakes and oysters, this iconic waterfront tavern celebrates its surroundings by serving fresh seafood, three meals a day. For those needing to avoid shellfish and fish, there are plenty of other options. The chef even offers to make customers with food allergies or other dietary restrictions customized dishes upon request. Just bring in a list of allergens, and they’ll cook up something special. 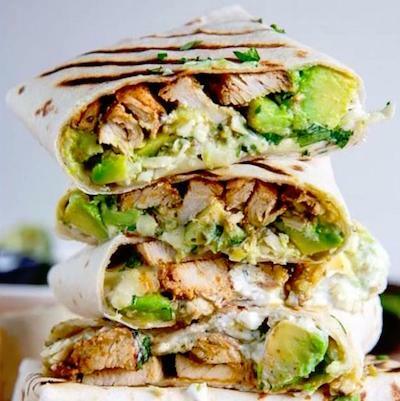 These meals are prepared using separate equipment by a well-educated kitchen staff. Gluten-free buns and bread are also available. Kick back and relax with the kids at this Mexican lunch and dinner destination. 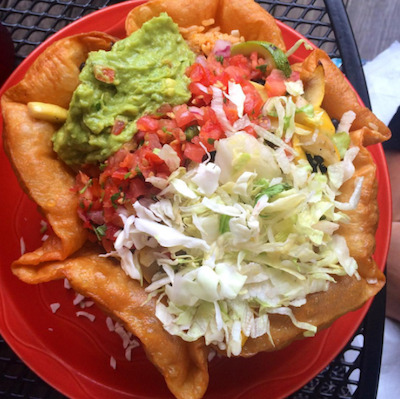 With a location in Oak Bluffs and Edgartown, their famous nacho platters and Sharkaritas may only be a bike ride away. There are no peanuts or tree nuts used in their dishes, and the corn tortillas are gluten-free. They use soybean oil in the kitchen, but if you have a soy allergy, call ahead and alert them and they will make accommodations. Whether you’re in the mood for an elegant dining experience or burgers in a cellar bar, Atria has you covered. Head to downtown Edgartown for farm-to-table produce, fresh seafood and an accommodating staff. Downstairs in the Brick Cellar Bar (locals know it as Burgers and Brew), dine on beef, turkey, lamb, shrimp or veggie burgers on a bun or crisp lettuce wrap. The full Atria menu, which clearly lists ingredients, is also available in the bar. The calamari and shellfish are fried in the same vegetable oil as the french fries, but they will happily customize meals and make substitutions for food allergic customers. For more than 50 years, this Edgartown staple has been bringing seafood straight from the dock to the plates of loyal customers. With a raw bar featuring Katama Bay oysters, fresh sushi and a lobster quesadilla that earned a mention on the Food Network, this is certainly no shanty. Gluten-free dishes are clearly marked on the menu, and only pecans are kept in the kitchen. They use soybean oil in the fryer, but they will prepare allergen-free meals on separate equipment. Nothing says vacation like a rocking chair on a welcoming porch and a delicious meal. Head to this rural outpost for a relaxing cup of organic coffee, an egg sandwich or a hand-tossed pizza to-go. When you call in an order, tell them about any food allergies, and they can accommodate your request. Some nut spreads are used on sandwiches, but they will happily make substitutions. Try the Island Grown pizza, made with veggies from their garden, on gluten-free crust or the North End sandwich on gluten-free bread. After stocking up on snacks and cookout supplies, grab breakfast or lunch to go from this neighborhood market. This is a one-stop-shop for island favorites like Chilmark Coffee, fresh baked goods and savory sandwiches. Rosewater has gluten-free options in the bakery and many of their recipes do not contain soy. Peanuts and other tree nuts are used in the kitchen, but the staff is knowledgeable about ingredients and allergens. Who says doughnuts are just for breakfast? M.V. Gourmet Cafe & Bakery has the island's best (not-so-well-kept) secret — after the front door closes, visitors can order fresh-baked apple fritters, cinnamon rolls, donuts and croissants from the Back Door from 7 p.m. to 12:58 a.m . The Back Door fries its dough in vegetable oil, and there are no peanuts that go in the fryer. They also carry a few gluten-free product options. After a long day at the beach, there's nothing like melting with a scoop from Vineyard's Best. Made by a local, Massachusetts-based dairy farm, the ice cream is stored and served with food allergies in mind. The staff has plenty of experience serving food allergic guests and will specially clean scoops. They also offer kettle-boiled and baked bagel— free of egg and soy. It's all about the beaches, beautiful sunsets and being outside. Keep it classic at the Vineyard with local-approved attractions and landmarks you won't want to miss. 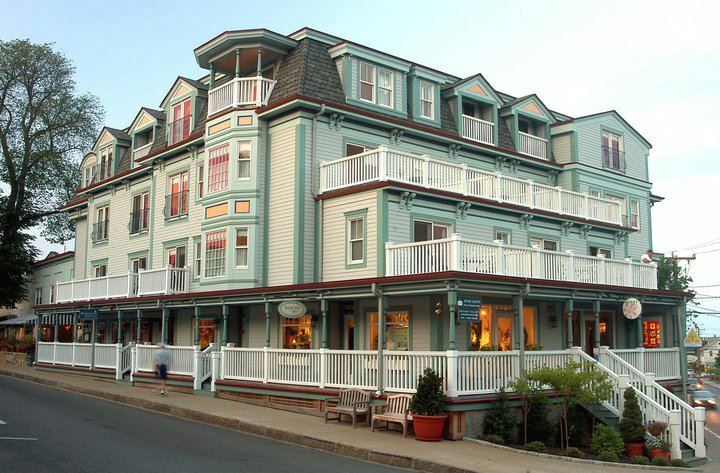 Since 1891, this landmark hotel, often called the “Grande Dame” of Martha’s Vineyard, has been a luxurious retreat for beachgoers. As the name implies, the property overlooks the harbor entrance and features ocean views from many rooms in the main building. Cottages and suites, which have kitchens or kitchenettes, are also available for families who prefer or need to eat-in. There is a seasonal children’s program and other complimentary activities available, as well as a heated outdoor pool. 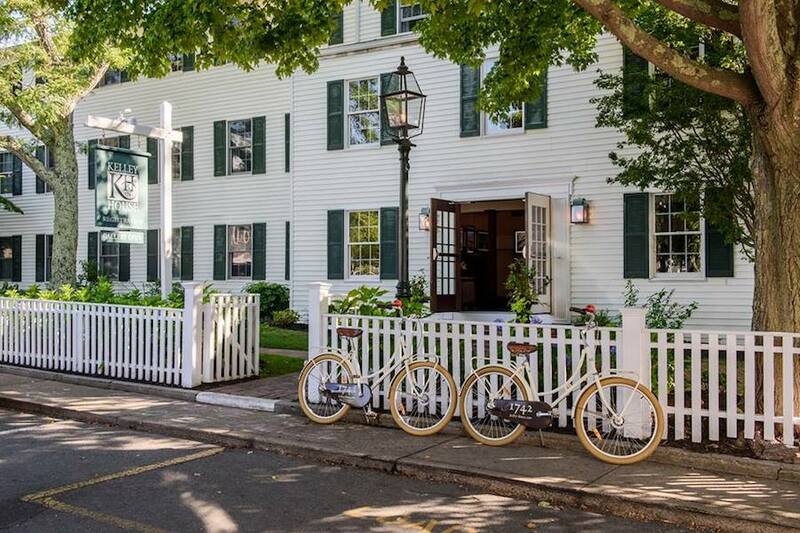 History meets luxury at Kelley House, the only Edgartown inn that has been in operation since 1742. Choose from a suite or a “house” during your stay, and pay $50 extra per day to bring your dog! Families love the Wheel House with its full kitchen and in-suite washer/dryer. Morning muffins, warm cookies and milk are offered free of charge in the main house — if you have an allergy, the chef is happy to make an alternative option. Mansion House guests are a short walk away from Martha’s Vineyard’s best attractions and a complimentary health club — which offers morning yoga, Pilates, a lap pool and full spa — making it hard to want to leave. After a relaxing morning, take in the harbor views from the cupola or stroll to local shops. Every room comes equipped with a fridge, and there is a shared microwave in the lounge. Rooms are deep cleaned prior to arrival, but if you call ahead and inform them of any allergies, they’ll make special accommodations. Relive your glory days at Summercamp, the largest oceanfront hotel on Martha’s Vineyard. The grounds overlook the beautiful harbor, a view guests can enjoy from their porches and balconies. True to its name, this hotel offers vintage games, scavenger hunts, movie screenings and ping pong games. The spacious rooms come equipped with refrigerators, and some have their own sitting areas. Spokin Tip: Summercamp Hotel has a Camp Canteen that sells sodas and snacks, including Cracker Jacks, but there are plenty of peanut-free options, as well. At this family-owned, oceanfront resort, you can make yourself at home in a suite or private cottage, all of which have kitchenettes or full-service kitchens. The resort offers free shuttles to Main Street grocery stores so guests can stock the fridge with drinks and snacks, as well as complimentary children’s day programs. Winnetu has been voted one of the most family-friendly places to stay on the island, and in the evening, they will help you find a babysitter or reserve your child a spot in the evening program for $30. Voted Best of the Vineyard by Martha's Vineyard Magazine, Point B Realty provides exceptional vacation rental and concierge services across the island. Whether you're looking for a forest cottage, a beachside mansion — Point B will get you there quicker. Looking for more travel guides?